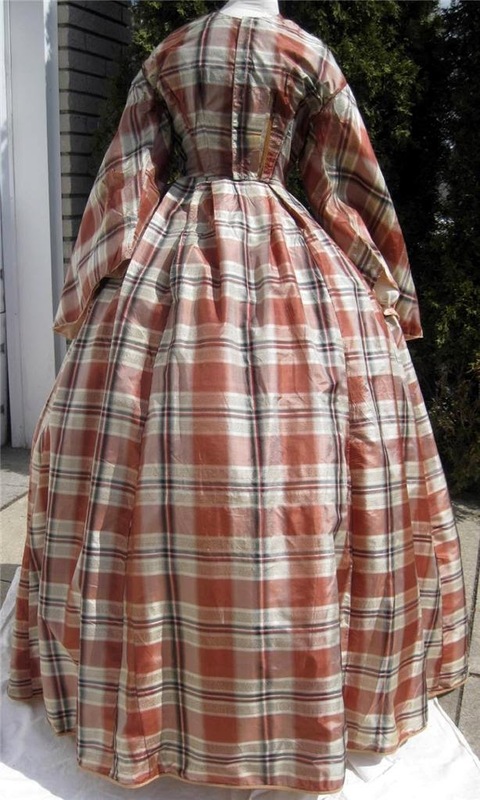 This is a beautiful brown and white plaid with red and black accents day dress with wide pagoda sleeves. There is a second low body, back fastening evening bodice with the sleeves missing (or never added? ), but the piping is in place, ready for them. 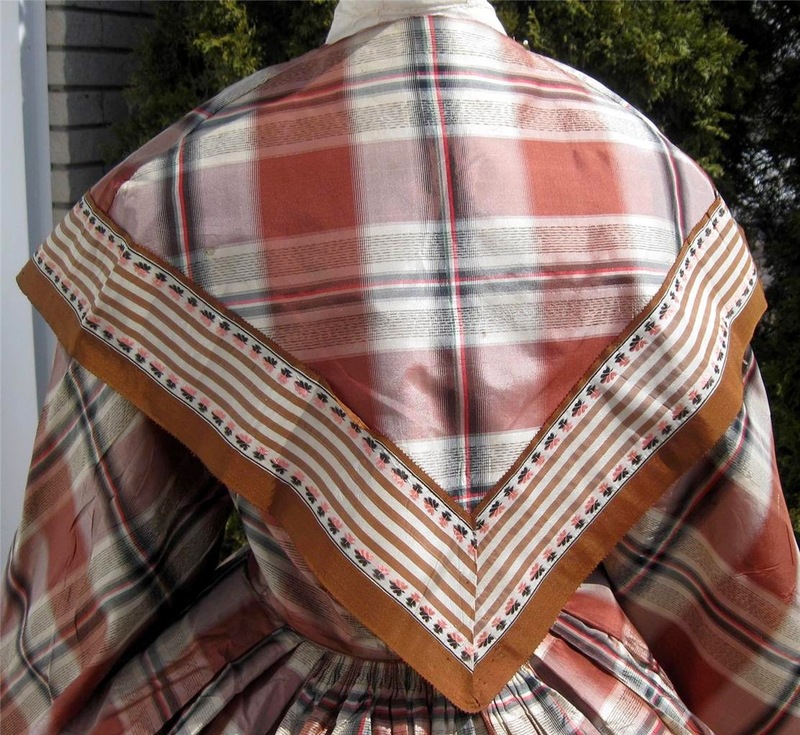 There is also a matching triangular back pelerine or fichu which is trimmed with 3.25 inch (8 cm) wide brown and white striped silk ribbon with pink & black accents which could have been worn with either version of the dress. 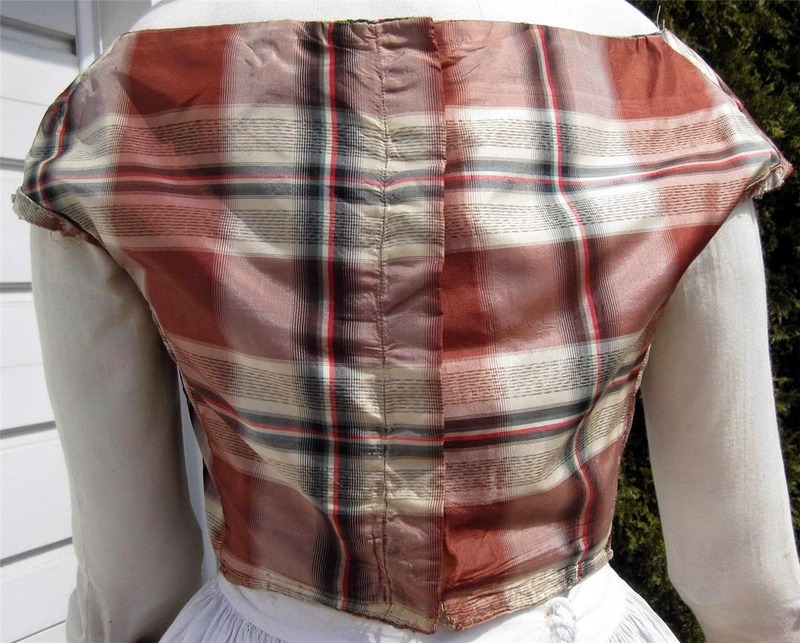 The darted bodice fastens up the front with 13 hidden hooks and eyes. 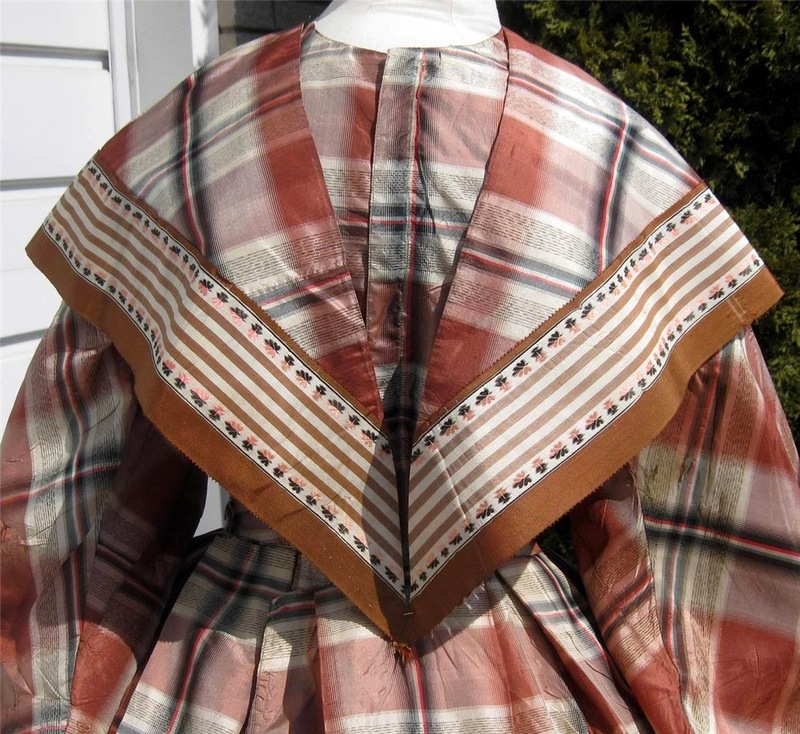 It is boned in the two darts on either side and lined in brown, twilled cotton. The wide pagoda sleeves are lined in thin white glazed cotton and deeply faced at the bottom in pale pink China silk. 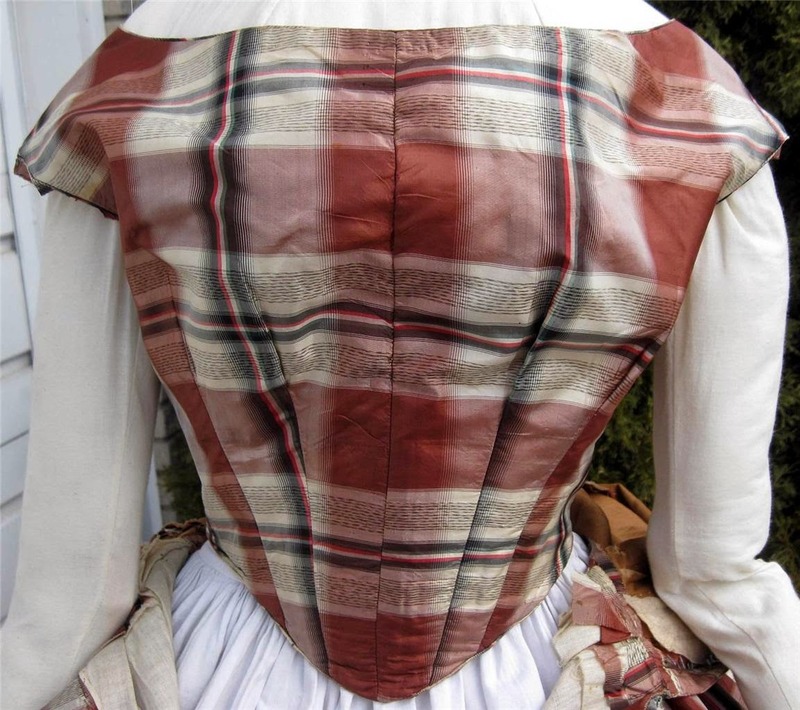 The evening bodice fastens up the back with 11 exposed hooks and eyes. 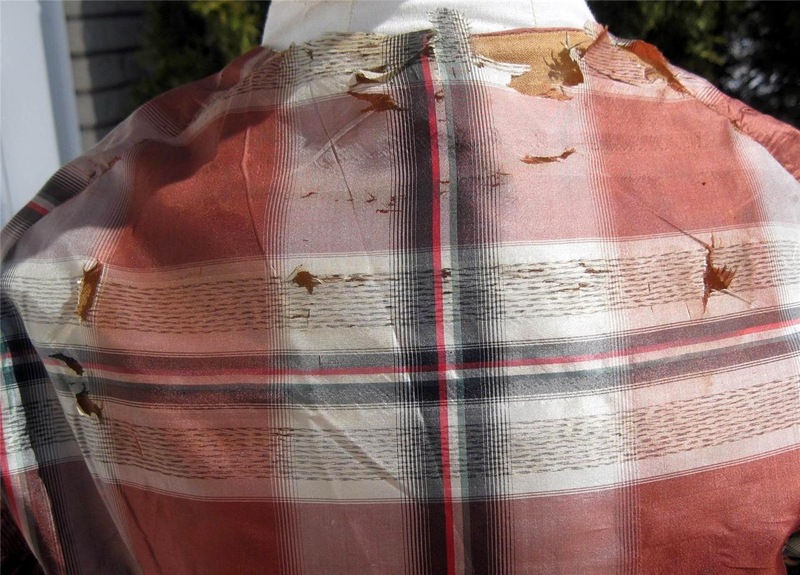 It is lined with white plain weave cotton and boned in the two bust darts either side of the front, either side of the center front seam and both side seams. 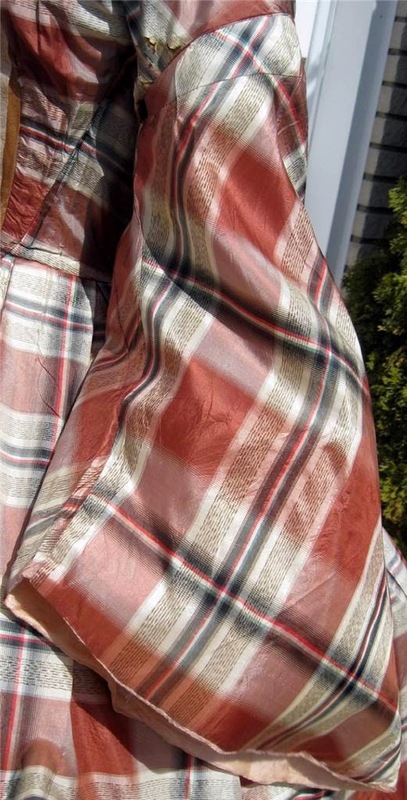 The skirt is box-pleated in the front and sides with a small section at the center back tightly gauged. 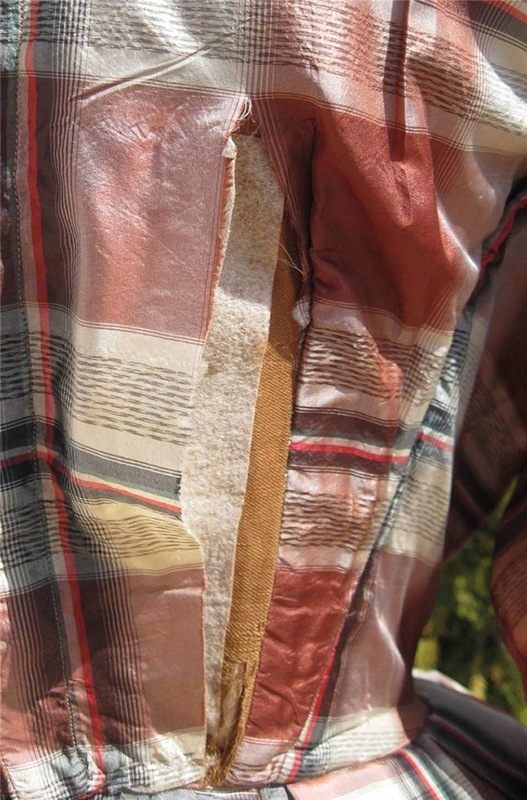 It is lined in thin white glazed cotton with tan wool braid binding the hem on both sides. 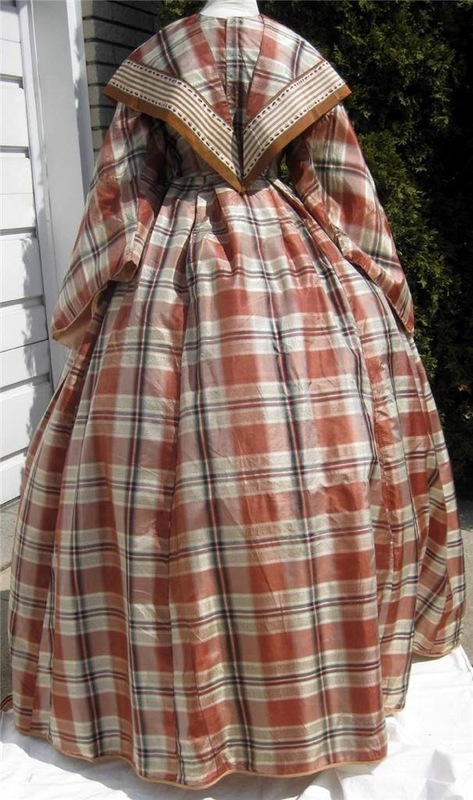 The hem would make sense for a mid 1860's dress - although it is still quite large. 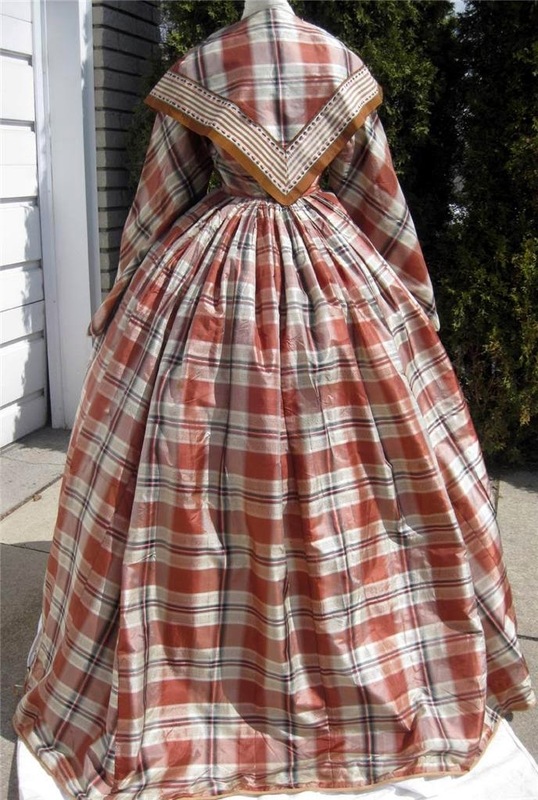 It would also explain the skirt front/back lengths - as the back would start to have a slight bustle by the mid 1860's.